AgArts, founded by Mary Swander (Poet Laureate of Iowa), Fred Kirschenmann (Leopold Center for Sustainable Agriculture and Stone Barns), and Diane Hatz (Change Food/TEDxManhattan), is on the leading edge of a sustainable food movement that promotes the connection between agriculture and the arts. 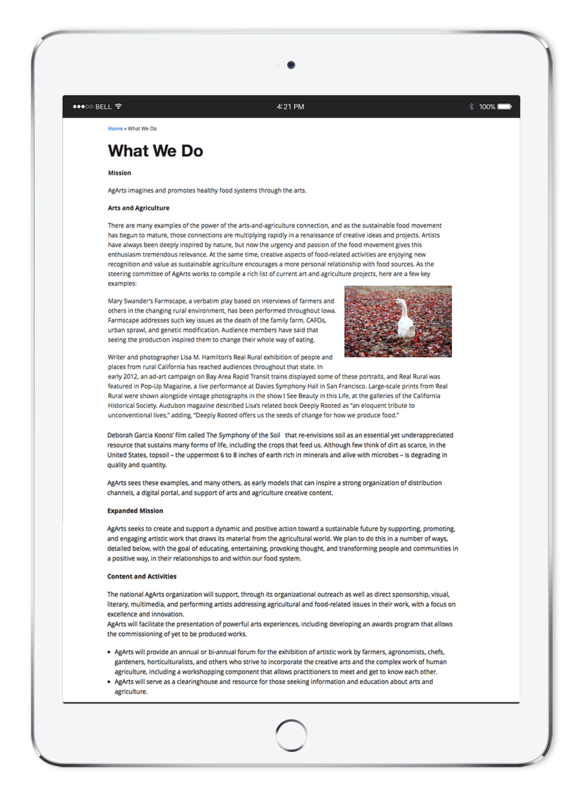 They needed a fresh look for their website that reflected their important mission. 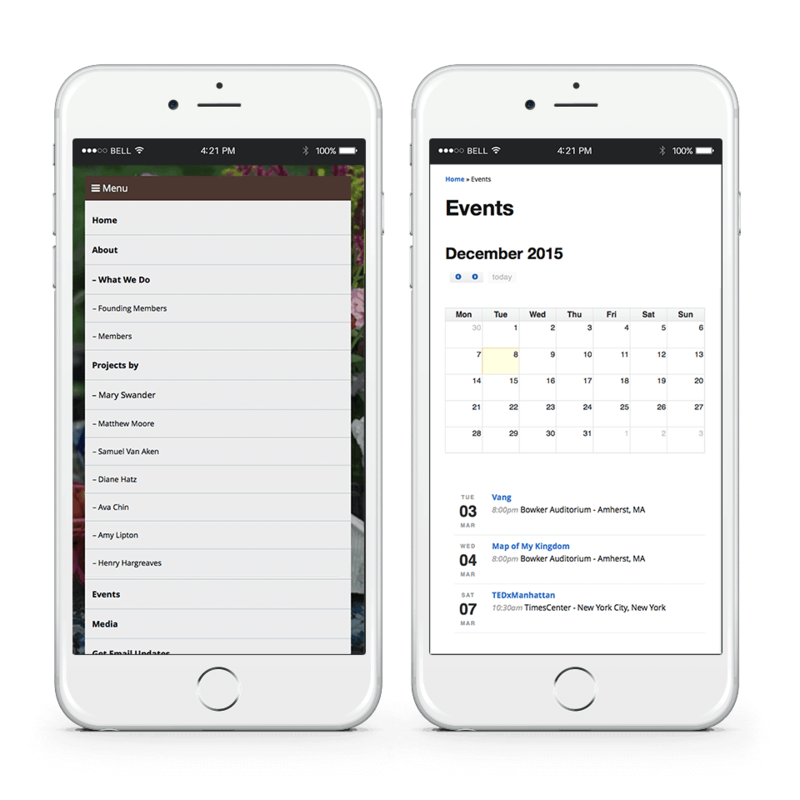 The website needed to elegantly display the related projects by their members, serve as an information hub to educate people on the vision of AgArts, and display information about upcoming events and projects in a mobile-friendly way. 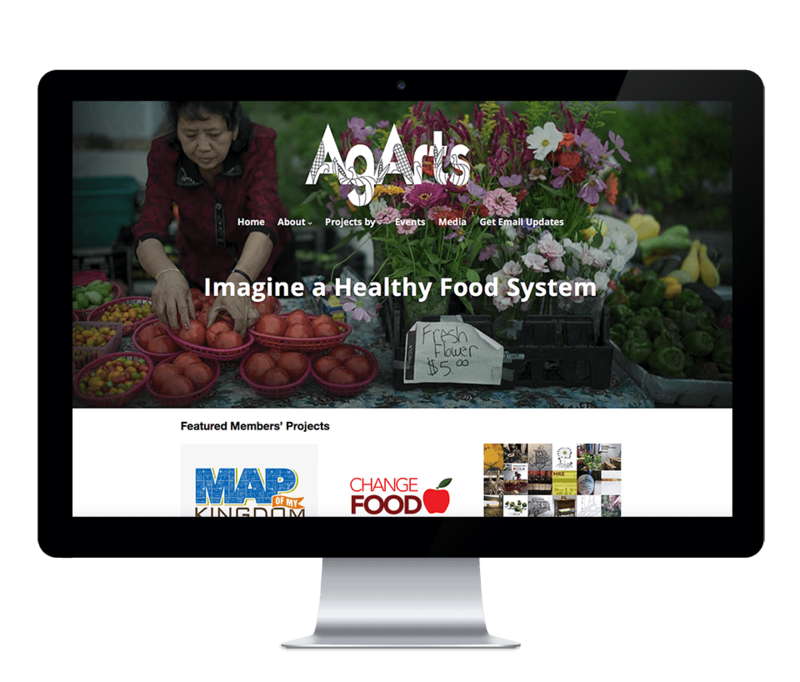 The AgArts website was redesigned with a fresh look while making it mobile-friendly. The new website allows the AgArts team to easily maintain the website text and photos and add new projects and events. It includes social media integration so their followers can easily connect with them on those networks. The website is a new hub in a nationwide movement towards sustainable food, allowing like-minded thinkers and doers to communicate and collaborate.